Stunningly beautiful & exceptionally updated home in desirable Greenbriar Hills Country Club area. 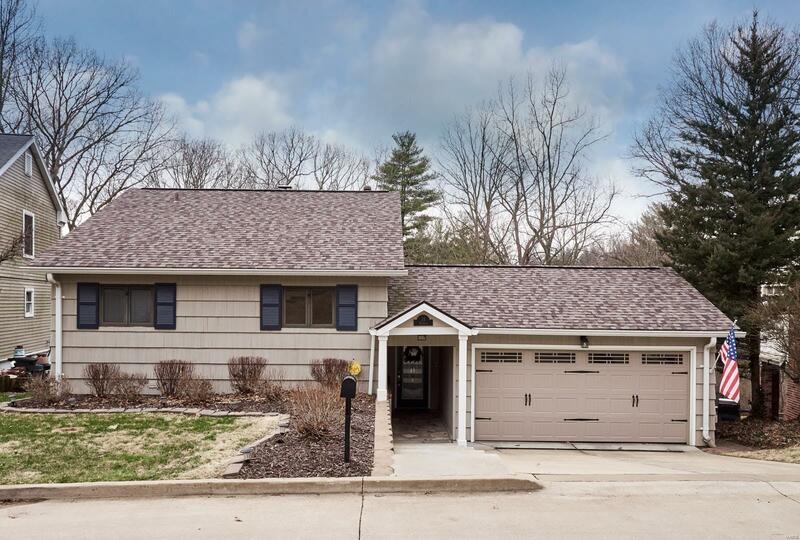 This exquisite 3 bedroom & 2 1/2 bath multi-level home w/2 car garage has exceptional updates! Quality Craftsmanship. Gracious entry foyer, Custom Millwork, Refinished Hardwoods & Tiled Baths. The Elegant Kitchen features 2-Tone Solid Wood Cabinets, custom glass, granite counter-tops, custom tile back-splash, custom trim, pantry, breakfast bar, built-in microwave, under counter lighting, Stainless Appliances. Dining Room & Hearth Room w/ Wood Burning Fireplace. Living Room has custom built-in bookcases & 2nd fireplace (natural gas). Master Suite w/walk in closet, Bath w/Dual Vanity & Jacuzzi Tub. Newer Concrete driveway/steps w/french drain. HVAC, Water Heater, Plumbing, Wired Smoke Detectors, Light Fixtures, Garage Door & Roof are 5 years young! Updated 150 AMP Electrical & Newer Windows. Attic storage w/ shelving, main floor laundry. Nice back yard & patio. All of this in Kirkwood! !